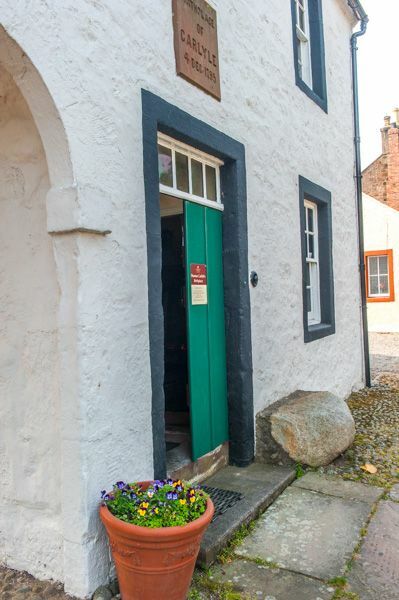 The influential writer and historian Thomas Carlyle was born in this attractive whitewashed house in 1795. The interior of the cottage has remained virtually untouched since it first opened to the public in 1881, with many of the Carlyle family's personal belongings on display. 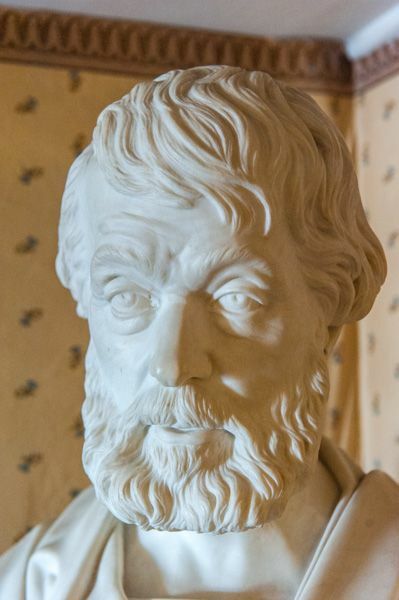 Thomas Carlyle was one of the most influential authors in 19th century Britain. A brilliant writer, he rose from humble beginnings to become one of the most highly regarded men of his age, but there was nothing in his early life to suggest such a bright future. Carlyle attended school in Echelfechan and Annan, then at the tender age of 13 he gained a place at Edinburgh University. So poor was the family that the young Carlyle had to walk the 84 miles to Edinburgh to attend the university. His parents wanted him to enter the church after graduation, but Carlyle had other ideas; he chose to become a maths teacher, and began working as a private tutor while at the same time writing for the Edinburgh Review and the Edinburgh Encyclopedia. He translated several works of German literature, and by 1824 he was writing full time. He married Jane Welsh in 1826, and though the couple remained together for 55 years, they were well-known for their bickering relationship. The Carlyle's moved to London and found a house in Chelsea, which was then a quiet backwater rather than the fashionable area it is today. There the Carlyle's hosted regular literary salons which gathered a constant stream of visitors, among them such luminaries as Thackeray, Browning, Tennyson, Emerson, and Dickens. Carlyle produced a steady stream of books on history, essays, and letters, and became known as 'The Sage of Chelsea'. He had a profound and lasting effect on political thought in 19th century Britain. Such was the esteem in which he was held that he would have been buried at Westminster Abbey, but Carlyle requested that when he died his body be brought back to Echelfechan and buried in the churchyard beside his parents. His wishes were honoured, and you can see his grave in the kirkyard a few minutes walk from the cottage where he was born. 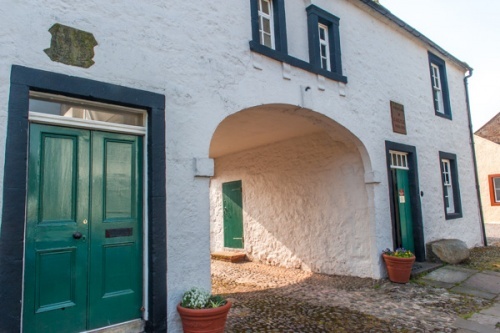 The house at Echelfechan consists of two halves, joined by an arch over a passageway to a yard behind. The house was built by Carlyle's father and uncle, both trained stonemasons. 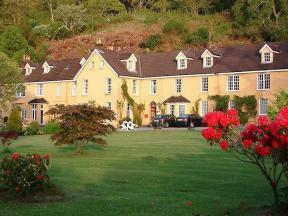 Three rooms are on display, each very simply furnished. You enter Carlyle's House into the parlour, furnished in very simple style, yet still retaining several of the Carlyle family's pieces of furniture. In one corner is a cabinet of china given to Carlyle on his marriage to Jane Welsh. From the parlour, you retrace your steps to the entrance passage and mount a set of narrow stairs to the first floor. On one side of the stairs is the small bedroom where Thomas was born. 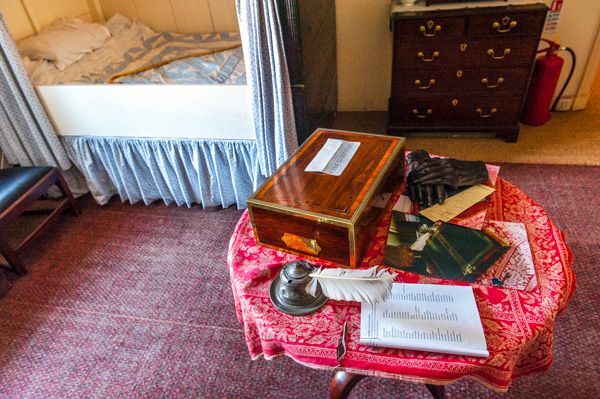 Here you will find a traditional box bed, the original open-fire range, and several mementoes of Carlyle's early life, including the family cradle where the infant Thomas slept. On a small table is a bronze cast of Carlyle's hands and a shawl belonging to Jane. On the other side of the stairs is a small study, or writing room. 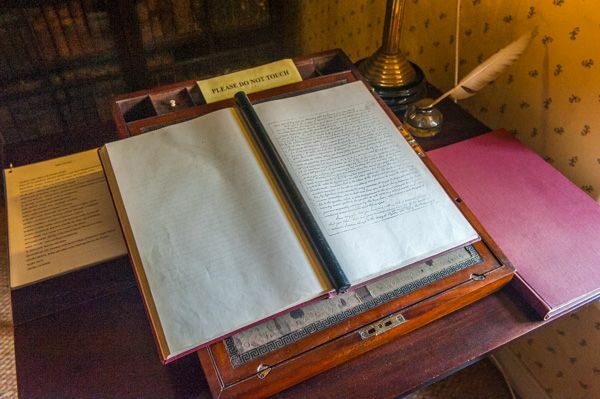 This area would not have been used as a study when Carlyle was a child here, but it has been furnished to show off some of the writer's personal belongings and exhibits on his life. Carlyle's writing desk is here, with a bookcase stocked with his own works and reference materials. One special exhibit is a tribute to Carlyle to mark his 80th birthday. The tribute is signed by many of the leading literary and society figures of the late Victorian period; a testament to the regard in which the author was held during his own lifetime. There is also a certificate signed by those who attended his funeral in London, and it is great fun to pick out the names of the great and the good of London society from the document. One of the names that is easy to spot is that of Charles Darwin. Throughout the house are portraits of the Carlyle family, including works by famous artists like Millais and James Whistler. 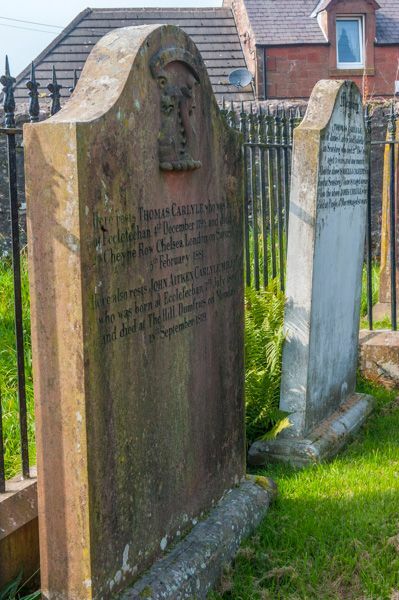 A very short walk up the hill from the birthplace cottage brings you to the kirkyard, where Carlyle's grave stands beside those of other family members inside a railed enclosure. It is fascinating to compare Carlyle's birthplace in Echelfechan with his later home at 24 Cheyne Walk in Chelsea, London. 24 Cheyne Walk could never be described as opulent, but it certainly is a lovely and elegant townhouse and shows just how far Carlyle came in the world from his beginnings here in Echelfechan. Location: Off the M74/A74, on Ecclefechan's High Street, 5 miles SE of Lockerbie. Well signposted, free parking along nearby streets.